Paul Dorpat has had a regular column in The Seattle Times for decades. He shows a historical photo of Seattle alongside a current photo and talks about the history of the building or site. The column is called Seattle Then and Now as are the books which are compilations of his columns. 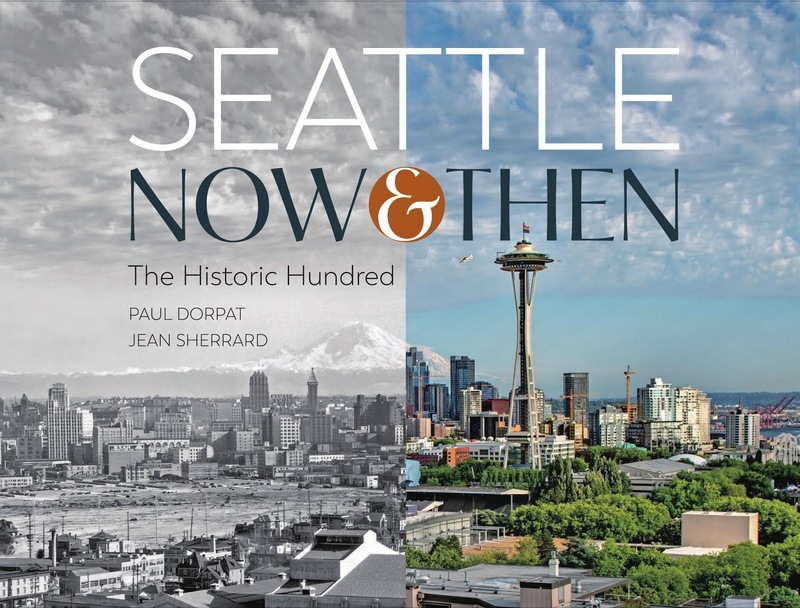 "It is a stark visual document of how the city has changed over the years, and a culminating tribute to one of Seattle’s living legends, Paul Dorpat." I met Paul Dorpat around 1973 through mutual friends when he lived across the street from me on Capitol Hill. He lived in an old storefront whose windows had been painted over with white paint. My friends and I went to visit once. The former store was filled with a dozen tables - all uniform size - with edges built up about four inches. The tables were filled with neatly organized photographs. "Paul collects old photos of Seattle," I was told. Understatement. I knew of Paul, of course, as someone who was deeply connected in the community and involved with the Helix newspaper, but the obsessive photo collection seemed, well, odd. I didn't really hear about him again until his columns appeared in The Times. "Oh," I thought, "he found something to do with all those photos." 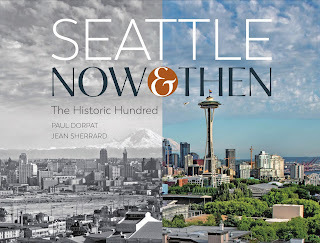 He will be at Third Place Books, with his photographer collaborator Jean Sherrerd, with their latest book, Seattle Now and Then:The Historic Hundred.